A University of New England researcher is taking an innovative school vegetable garden program global to help encourage healthy eating and combat obesity. UNE’s Professor Neil Taylor is working with Professor Abdullah Ambusaidi and Dr Rashid Al-Yahya of the Sultan Qaboos University in Oman, who secured a grant of A$411,000, to establish a school garden program in six schools in the desert country of Oman. Vegetable gardens are a relatively unknown concept in Oman with its limited renewable water resources. The economy is predominantly reliant on oil exports and over 50% of its food is imported. The country is facing a projected 128% surge that will see the value of its food imports rise to a staggering $4.8 billion by 2020. 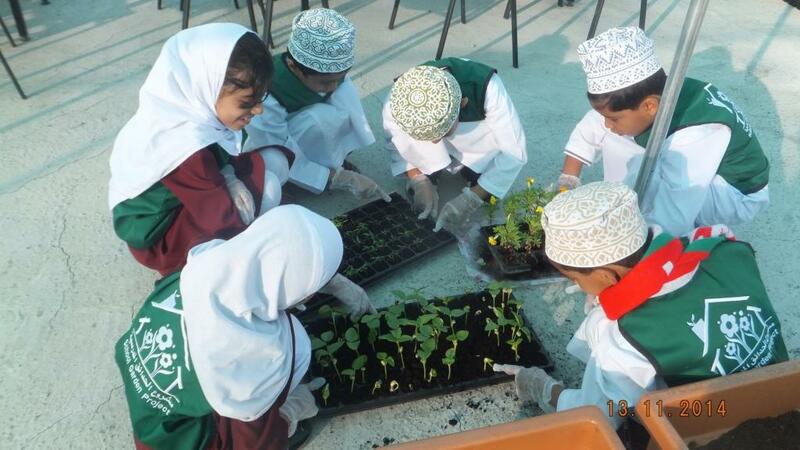 The pilot study, for grade two and seven students, incorporates school gardens as part of the curricula, which educates the students in plants, agriculture and the environment. Prof. Taylor says the research will help determine if students’ attitudes to eating fruit and vegetables changes as a result of their involvement in the project. “Studies in Western contexts suggest that when children grow their own produce they are more likely to consume it,” Prof. Taylor said. “Ultimately the project aims to create awareness about the importance of gardening, agriculture, food security, and the health benefits of growing and consuming fruits and vegetables among school students, teachers, parents and the community at large. “The project outcomes could be significant as in the last ten years, there has been a rapid increase in ‘lifestyle diseases’, such as heart disease, high blood pressure, and diabetes in Oman. The project has been running for just over a year and a half with vegetable gardens established in all six schools using raised beds and shade cloth to allow the best growth conditions in the harsh climate. Prof. Taylor says the researchers are now working on a teaching resource with instructions on how to establish and maintain school vegetable gardens, hands-on activities for different year groups, and case studies of successful school gardens. The project has already drawn interest from the Ministry of Health and the Food and Agriculture Organisation in Oman.